With the growing importance of fast websites, everyone is trying to get their websites running at blazing speed. It is a known fact that having fast websites can not only help improve user experience and assist in retention and customer acquisition, but also improve organic search ranking and visibility. This is because search engines like Google have page speed as a ranking factor in their ranking algorithms. 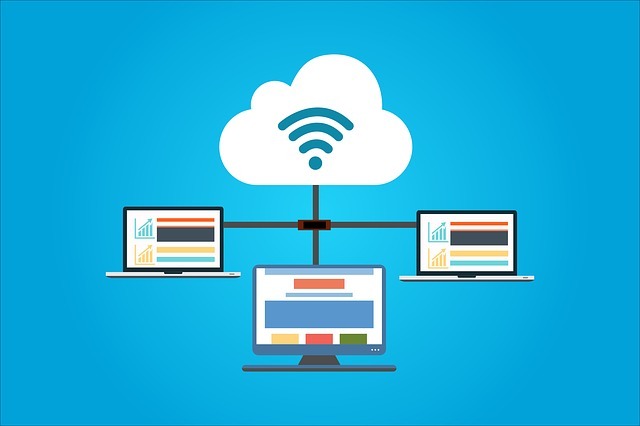 That being said, if you are using Cloud Hosting for your site, here are 5 quick tips and tricks that will speed up your Cloud Hosted website! A CDN (Content Delivery Network) is a network of servers which are spread across a wide geographical area. The way they help is that, whenever a user is trying to access the hosted website data, the CDN analyses the location of the user and configures the server geographically closest to the user to serve the requested data. This hugely reduces the latency of data transfer over the network. Cloud Hosting Providers have lately started incorporating CDNs in their overall Cloud Hosting architecture. Having an exhaustive discussion with them to apply it for your site can largely help optimize your site’s speed. Cloud Hosting will only perform as good as the underlying hardware. Periodically check the configuration and specifications of the Cloud hardware such as CPUs, type of RAM, storage and memory etc. and if you find that any of the hardware peripherals are outdated or outclassed, notify your Cloud Hosting Provider and put in a request for an upgrade. Yes, Cloud Hosting Providers are responsible for delivering the best possible hardware resources for your Cloud Hosting, but it would not hurt to check every now and then. And with the speed of IT hardware innovation these days, you are bound to find areas of improvement within your Cloud’s hardware configuration. As CDNs help improve latency with respect to User-Server proximity, same is the deal with your hosted website resources and your database. If the proximity between them is higher, the data transmission between the two is faster. Most Hosting providers disclose where all the elements reside on the cloud. You can make a request to have all your resources in close proximity. It is known that data duplication and mirroring is essential as a failsafe; but, it also hogs on the network bandwidth whenever traffic associated with data backups is being transmitted. But data duplication cannot be avoided. So the workaround is to mirror data smartly. De-duplication removes network traffic associated with data backups by performing a single complete backup of a given file(s), and then only send changed portions of those files over time, rather than the entire file. Speak to your Cloud Hosting Provider to see if such techniques are in place, which can really help your overall website speed over the Cloud. That beings said, it is always a good idea to analyse Cloud Hosting Providers thoroughly and select the ones who are implementing such tactics or even support you to set it up for your website over the Cloud. This, coupled with website development best practices like compression, minifying files and scripts etc. can really push the needle further when it comes to page speed.